Best practices guidelines document for digital libraries specifically addressing incorporating crowdsourced transcriptions, image searching, collection analysis techniques and connections to museums, archives and databases. Field Museum of Natural History is no longer a host institution but will provide tours and input when appropriate. Alicia Esquivel: Content Analysis. This project will be an analysis of the quantity of literature underpinning the field of biodiversity, the amount of that literature in the public domain, the representation of each discipline (delineated by taxon group) within BHL, an exploration of methodologies to scope the collections, and areas where BHL may target development to better serve the research population. Host: BHL Chicago partner Chicago Botanic Garden with mentor Library Director Leora Siegel. Marissa Kings: Digital Library Best Practices Analysis. The mentor will work with the resident to consult with BHL partners such as DPLA and Europeana to determine how BHL data works in these large scale national and pan-national digital libraries. 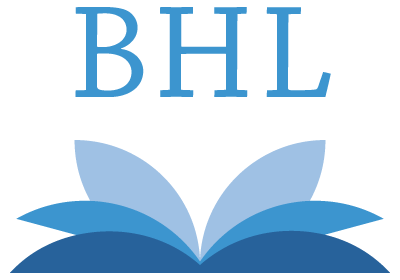 The resident will propose analyses of other large-scale digital libraries (HathiTrust, the Internet Archive, National Digital Library of New Zealand, Trove, for example) to categorize high value tools and services that can be built into the next version of BHL or developed with existing APIs from partners. Host: Los Angeles County Natural History Museum, mentor Chief Librarian and Curator Richard Hulser. NHM Research Library. Pamela McClanahan: User Needs and Usability Analysis. 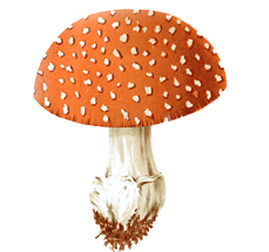 The mentor will work with the resident to identify members of the larger taxonomic and biodiversity informatics community to determine user needs and services for providing increased value to BHL content. Building on a ten year relationship with this community, BHL staff will introduce the resident to relevant initiatives hosted at the Smithsonian, such as Consortium for the Barcode of Life (CBoL) and Encyclopedia of Life (EOL) and to partners such as Global Biodiversity Information Facility (GBIF). The resident will analyze input gathered to define recommendations and requirements for expanding the BHL digital library functionality. Host: BHL Secretariat/Smithsonian Libraries, mentor Carolyn Sheffield, BHL Program Manager. Katie Mika: Import of Crowdsourced Data Corrections and Enhancements. Building on the IMLS grant received by the Missouri Botanical Garden, Purposeful Gaming and BHL, in which BHL worked with Mary Flannagan and Tiltfactor , the mentors for this project will work with the resident to develop methodologies and propose tools for integration of crowdsourced data corrections and enhancements back into the BHL portal. Best practices will be documented for verification, trust, and multi-tier review. Host: Harvard University: MCZ, mentors Library Managers Constance Rinaldo and Joseph deVeer. Ariadne Rehbein: Enabling image discovery within the Biodiversity Heritage Library. Building on the successful NEH Art of Life grant, crowdsourced metadata around BHL images hosted on Flickr and Zooniverse would be integrated back into the BHL through user interface modifications to the BHL portal to enable image searching, browsing and display. The resident will work with the BHL technical team to propose best practices for integration of this data into BHL as well as sustainable methodologies for augmenting image tagging for BHL content. Host: Missouri Botanical Garden (MOBOT), mentors Library Director Douglas Holland and Data Projects Coordinator, Trish Rose-Sandler. Residents began work on January 9, 2017.